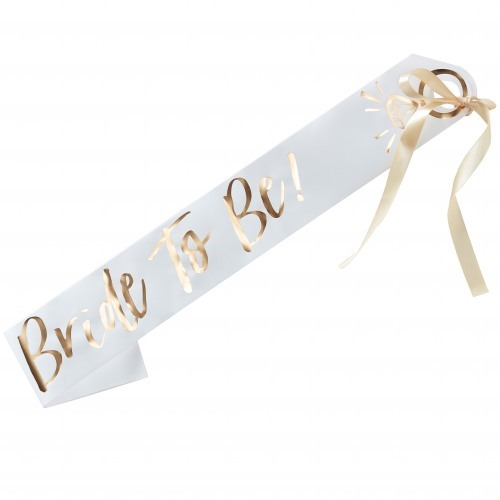 The Gold Foiled Team Bride Sash features a gold foiling on a white background which is sure to be loved. Comes with a gold ribbon so that you can adjust the fit- one size fits all! Your bride to be will look darling in this paper sash at her bridal events.